When the Nokia Lumia 920 specifications hit last month, the rather large battery (2000mAh) was touted as one of the main features, resulting in supposed “all day use”. That’s especially important for consumers on such a powerhouse of a phone since it has all of those bells and whistles on board. The AT&T version has recently been posted on Nokia’s site and it has some updated specifications from the global version, including some new battery times. The bad news is they have been slightly marked down for the massive 4G network, most likely due to some carrier requirements resulting in some firmware changes in addition to that super fast LTE network. Those changes have resulted in talk-time going from 10 hours to 9 hours on AT&T, standby time dropping from 400 hours to 320 and music playback dwindling from 67 hours to 52 for the US branded Lumia 920. We suppose they’re not huge drops, but they are drops nonetheless. We should also leave a little room here for error—it’s not uncommon for slight discrepancies to be posted on these sites before a device hits, so changes may still be forthcoming. It’s well known that LTE will use more battery life than regular 3G (or “4G” for HSPA+) but the Qualcomm S4 chipset should handle battery consumption a lot more effectively than the current Nokia Lumia 900, which has older silicon onboard. Still, no matter how good the technology gets, if you get a fatter pipe for data you will consume more battery. Plus, if you're not on LTE in theory you'll have slightly better battery life. Regarding possible network and firmware changes, we really have no idea on what drives that or what AT&T’s requirements are (or even if that’s a factor here). It’s not uncommon though for carriers to do testing and request changes that affect the radio performance, including higher rates of tower-pinging (who remembers hacking their AudioxVox PPC-6700 to get calls faster?). 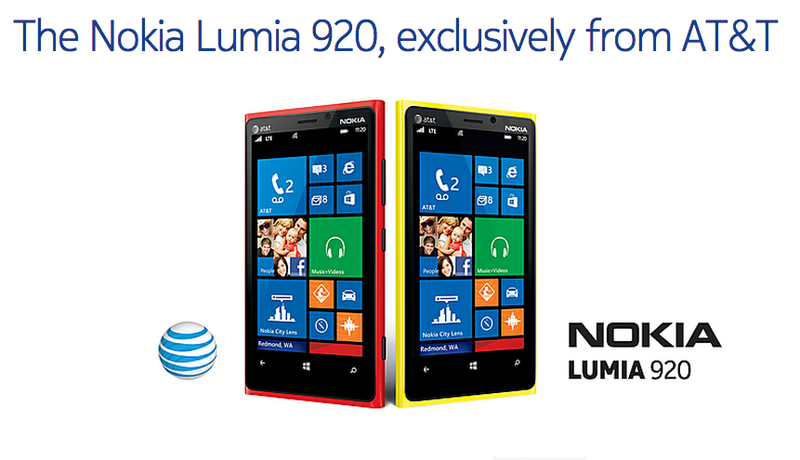 In the end, we still think the Lumia 920 is a nice upgrade. When compared to the current Lumia 900, the 920 gets 2 hours more of rated talk time and 20 hours more of standby—all of that with NFC, a larger, more power thirsty display and a dual-core CPU. We’ll take that, thank you. Thanks, mrxae86, for the tip!